In his book "The War of Art”, David Pressfield identifies a force called resistance. He describes resistance as the counter force that prevents us from starting and completing any pursuit, large or small, that is healthy, expansive, positive, creative, or in any way good -- for ourselves or mankind. Recently, I took some much needed time recharge my battery. I thought about my life, and developed a nagging sense that I had given into resistance -- and was a bit off course. Life certainly wasn’t awful – just complacent on many levels. I decided it was time for a positive course correction. We all struggle with resistance. It’s easy to ignore the subtle inner callings, urgings and tugs, which threaten to distract us from the more routine, convenient or dominant responsibilities in our lives. Write an article on what you’ve learned. Get back to the gym. It occurred to me that heeding many of these tugs, callings and urgings could be in the critical path to a more purpose driven and satisfying life. Overcoming resistance, therefore, was something worth fighting for – something I needed to do more actively. It's easy to forget in the midst of the tyrrany of the urgent, or the call of the convenient that we are all architects of our own experience. Sometimes that means we have to challenge ourselves to get off the "hampster wheel" of activity to stretch ourselves personally and professionally. Sometimes we have to climb out of the cage entirely. Recently, I decided to listen more intently to those inner urges and take on a few new challenges. 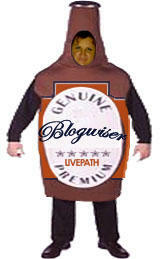 Live Path is one such undertaking. I know it will be cathartic for me, and I hope it will be marginally interesting and insightful for you. Welcome and thanks for stopping by the Experience Architect Blog. No, I don't normally dress this way. 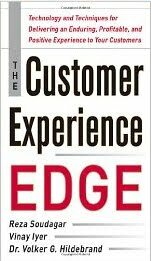 As I kickoff this enterprise, I'm excited about connecting with other “excellence junkies” on the core issues that impact customer experience in an era of customer choice, media bombardment and technology advancement. If you're a marketer, usability expert, operations specialist, customer service agent, product manager, brand manager, designer, technologist, CRM specialist, consultant, executive manager, service provider... .... If you're a customer experience agent of any kind, this blog's for you. It's for me, too. As customer experience agents, we have the power to cultivate a rich landscape for brand discovery for customers of all walks of life. We can harness amazing resources to anticipate, observe, interact with, learn from and respond to customer behavior. We have the power to architect and deliver experiences that produce delight and satisfaction. We can be the greatest champions for our customers – and we can also stand as obstacles to them. It is the practical, real world of customer experience that I’d like to discuss on this site. The topic is bottomless, especially when we look at issues across channels, cultures, technologies, industries, operational infrastructures and executional marketing tactics.